Temperatures flare, shootings spike and the city is stuck in status quo. Enter a mixed bag of underdogs ready to save whatever's left of the day. Completely powerless but sky-high on passion, they join forces. But as broken bones multiply and alliances splinter, the team is forced to draw the line between well-meaning heroism and vigilante justice. 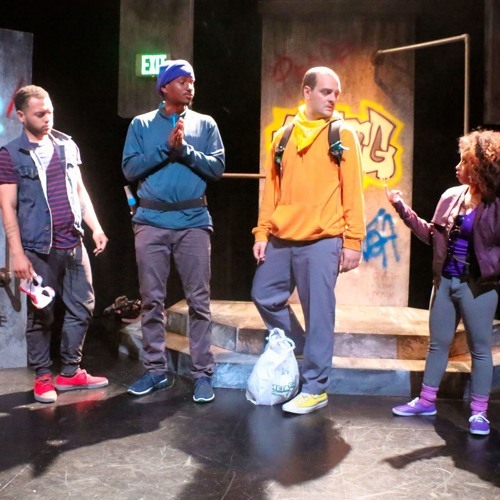 From the 2018 Storefront Indy production of "Prowess", by Ike Holter. Directed by Ronan Marra. Users who like Original Music - Fight Scene from "Prowess"
Users who reposted Original Music - Fight Scene from "Prowess"
Playlists containing Original Music - Fight Scene from "Prowess"
More tracks like Original Music - Fight Scene from "Prowess"